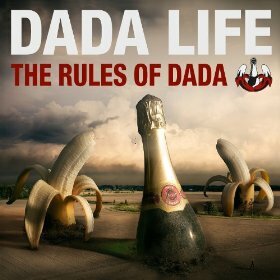 Dada Life Releases "The Rules of Dada"
Comments Off on Dada Life Releases "The Rules of Dada"
Two days ago, the Swedish electro house duo’s album The Rules of DaDa was mistakenly released, and is scheduled to be released October 16th. Their previously released singles, “Rolling Stones T-Shirt” and “Feed the Dada”, were well-received and the same is expected of the remaining nine tracks. From start to finish the ridiculous vocals and out of control beats keep you moving. You can listen to the album in its entirety on Spotify. Tomorrow they kick off their “Dada Land 2012” North American tour in Ontario. On September 26th they will be playing a sold out show at Levels Nightclub. If you come across a ticket for sale BUY IT. This is the biggest act to come to Levels so far and it will not disappoint. Be sure to check out their “Dada Land” tour video below.